After a 2-0 victory against Hamburger SV on Friday Hannover 96 are top of the league. You read that right die Roten are first in the Bundesliga for the first time since 1969. Of course, it is only Friday, and the likes of Hoffenheim and Dortmund have the chance to overtake Hannover on Saturday and Sunday. At the same time, ten points out of the first four games is a remarkable achievement for the newly promoted side. Hannover was widely tipped by many of the Bundesliga experts to be one of the sides who will struggle to stay in the Bundesliga this season. After spending one season in the Bundesliga 2, Hannover 96 was very much in the shadow of fellow promoted side VfB Stuttgart. 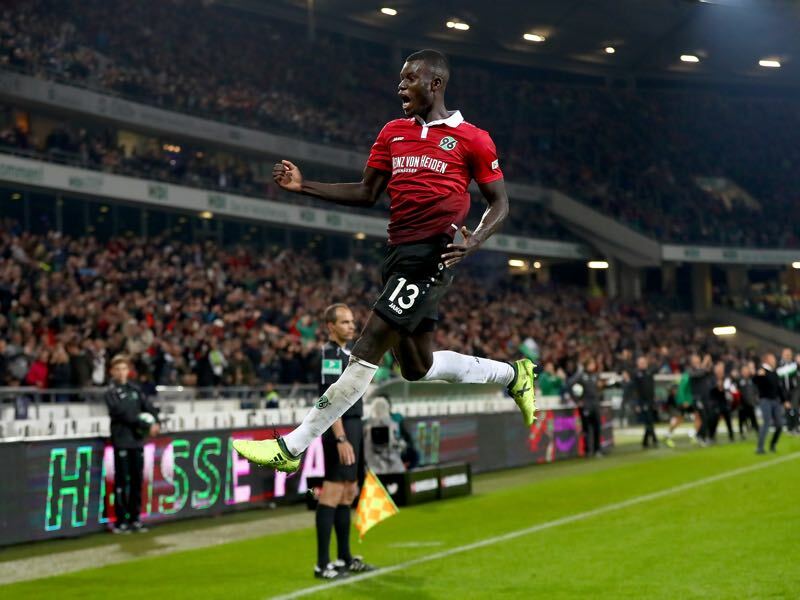 Whereas expectations were high in and around Stuttgart ahead of the Bundesliga season, Hannover struggled to generate the sort of enthusiasm that you expect from a newly promoted team. Instead, other stories distracted from Hannover’s return to the big stage. Longtime President Martin Kind was at the centre of criticism among many fans for taking over the club making Hannover 96 the fourth team in the Bundesliga, after Bayer Leverkusen, VfL Wolfsburg and technically speaking RB Leipzig, which will no longer comply with the 50+1 principle of the Deutsche Fußball Liga. While Kind’s takeover is entirely legal—a clause in the DFL allows investors to become owners after having invested in a club for 20 years—the fans and many members of die Roten have been unhappy with Kind changing the club structure. 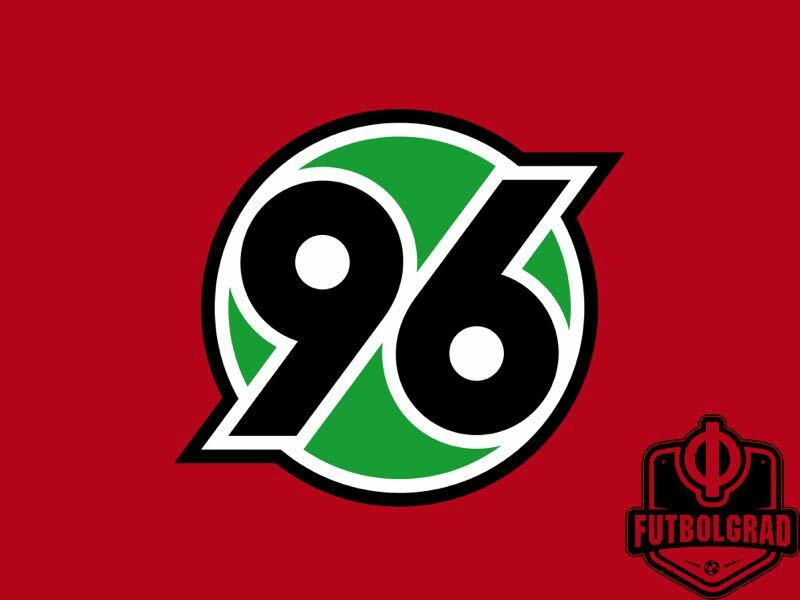 Kind is one of the reasons why many Hannover 96 ultras have at times boycotted matches and even stopped supporting the club. 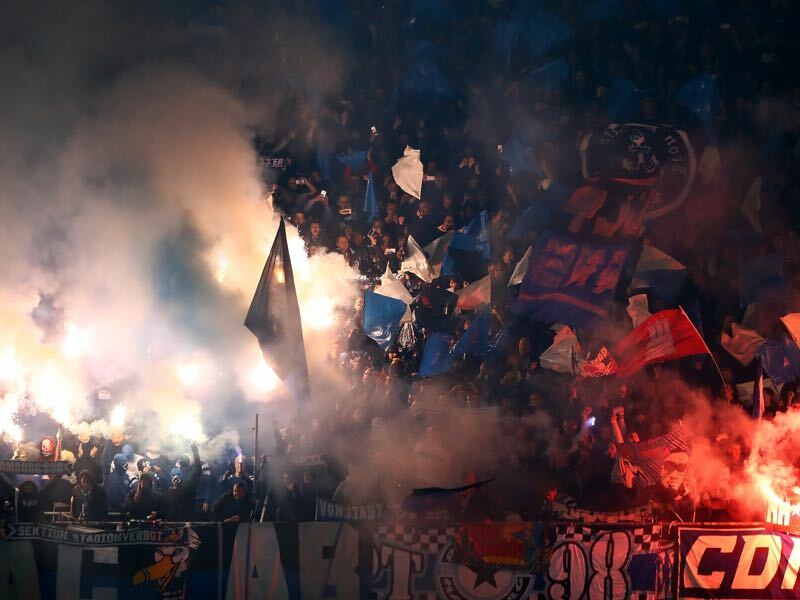 Many of the fans returned last season, but there was once again rumblings among the H96 faithful that the ultras could turn silent in the HDI-Arena. Another issue has been putting together a squad for this season. Head coach André Breitenreiter and sporting director Horst Heldt wanted to make significant changes to the squad ahead of this season. But the club struggled to land many of their desired transfer targets. In the end, only Michael Esser, Matthias Ostrzolek, Pirmin Schwegler and Julian Korb were signed before the last week of the transfer window. Not exactly the major makeover the management had planned for this season. It took until the final week of the transfer window for Hannover 96 to finally sign a top class striker. In the end, the club signed Jonathas for €9 million from Rubin Kazan and Ihlas Bebou for €5 million from Fortuna Düsseldorf. Both transfers represented a significant outlay for Hannover 96 and Heldt has since told the media that transfers of this category will become the norm at the club. With just six new signings it has been mostly the old guard that has carried the club to the top of the table. The likes of Marvin Bakalorz, Martin Harnik and Philipp Tschauner were the faces of Hannover’s victory on Friday against Hamburg. All three were on the brim of being replaced after a successful season in Bundesliga 2. Tschauner, however, has fought off the challenge from newly signed keeper Esser and Harnik has scored three goals in four games this season already. Bakalorz in the meantime had a fantastic game against Hamburg on Friday and looked set to fight for his spot in the starting eleven. The Brazilian Jonathas in the interim was not part of the squad on Friday. He missed the game with a muscle problem in his leg. Bebou was brought on in the second half, and the Togolese national team player right away highlighted that he has the talent to become an outstanding Bundesliga player. The 23-year-old right-winger terrorised Hamburg’s defensive line over and over again after coming on in the 14th minute to replace the injured defender Felipe. Fast and dynamic it will be only a matter of time until Bebou starts for this squad on a regular basis. Finally, his substitution highlighted something else. When Felipe came off with an injury head coach Breitenreiter did not make a one for one change. Instead of bringing on a defender he used the occasion to shuffle around his entire squad to devastating effect. It was a masterstroke by the coach who identified an opportunity during the time of adversary. With all this in mind, everything seems well for Hannover early on. It is, however, still early in the Bundesliga and the past has shown that newly promoted sides do well early on during a season only to falter in the second half of the season. 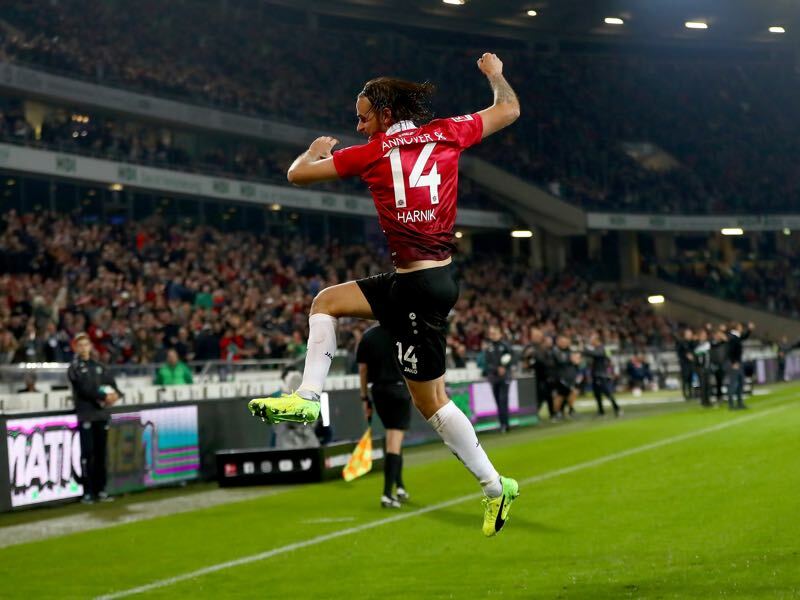 In the end, Hannover will want to get those magic 40-points that secure the club Bundesliga football—everything else is a bonus. Manuel Veth is a freelance journalist and social media junior editor at Bundesliga.com. He is also a holder of a Doctorate of Philosophy in History from King’s College London, and his thesis is titled: “Selling the People’s Game: Football’s transition from Communism to Capitalism in the Soviet Union and its Successor States,” which will be available in print soon. Originally from Munich, Manuel has lived in Amsterdam, Kyiv, Moscow, Tbilisi, London, and currently is located in Victoria BC, Canada. Follow Manuel on Twitter @ManuelVeth.